Donald Trump is once again trying to make it much, much harder for migrants crossing the U.S.-Mexico border to seek asylum. 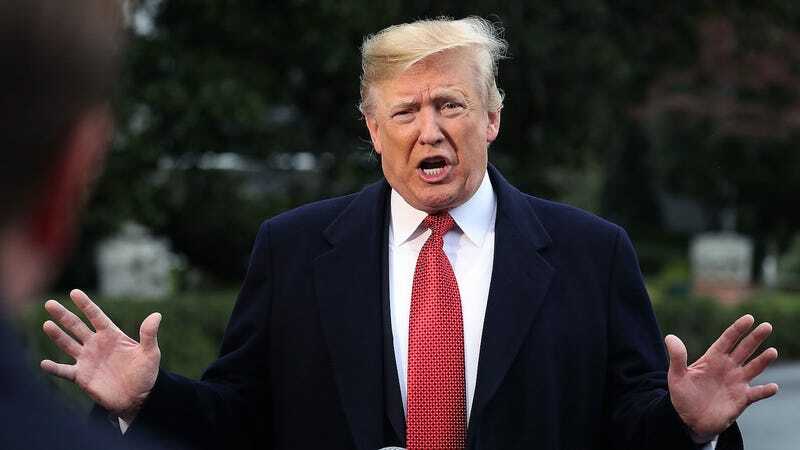 On Friday, Trump signed a presidential proclamation that prohibits migrants from claiming asylum at the border unless they do so at an official port of entry, which had already been something of an informal policy, according to advocacy groups that work with asylum-seekers. These ports of entry, which the administration is now trying to funnel more people through, are already overwhelmed and severely backlogged. The proclamation institutes a 90-day ban but can be renewed or extended at any time. Migrants crossing the border without documentation and between ports of entry still are allowed to petition for asylum, but the Trump administration will now require them to demonstrate a “reasonable fear” of removal—a higher standard to clear. People who do pass the reasonable fear screening will be allowed to go before an immigration judge. Even then, though, they still wouldn’t be eligible for asylum. Their only options would be withholding of removal and protection under the Convention Against Torture. All of this is happening against the backdrop of an administration that already routinely fails to provide migrants with the resources they are entitled to by law and puts up roadblocks that prevent them from getting their day in court. The administration is doing everything within its power to shut down immigration at the border, and shows no sign of slowing down.